1. Murder on the Orient Express (Hercule Poirot #10) by Agatha Christie - Can I say am in love with Mr.Poirot, such a witty guy. I can't wait to start on other books in this series. 3. Secret Daughter by Shilpi Somaya Gowda. - If you are up for an emotional roller coaster ride, then pick up this book. The language by the author is simple, prose good and there are many parts of the book which will sting you like a bee and make you realize the hardships of the poor. The plotline seems predictable, but actually its not and I like the way it unfolds in both the worlds of Asha and Kavita. These characters will stay with me forever. It is the sad and unfortunate reality (which I completely detest) of the society today that boys are favored over girls and after reading this book, it made me realise how lucky I am to have such progressive parents who still to this day strive for the betterment and happiness of me and my little sister. 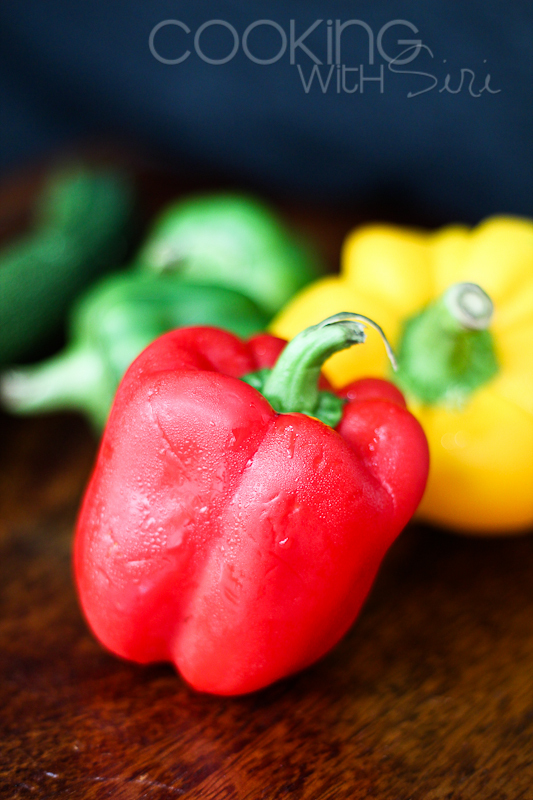 So, during my weekend grocery shopping I spotted these beautiful red and yellow peppers, all I could think was Paneer Jalfrezi, a colorful, dry side dish very popularly made in many indian restaurants. Accompanied to that was a usual fried rice but with a twist of home-made coconut milk. These were served as a Sunday lunch to for few close friends and family, thoroughly enjoyed by all. Adding coconut milk was amma's idea. 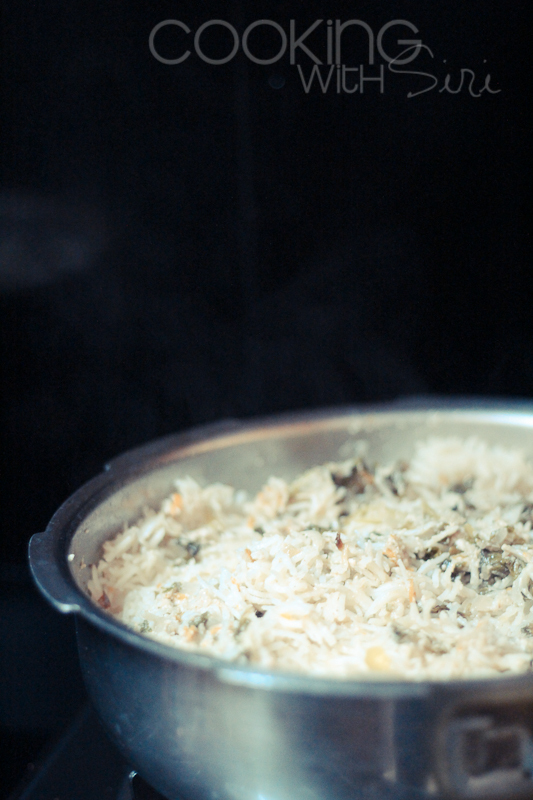 Full credit to her as the rice had a nice, slightly mellow hint of coconut-ey flavor which added a new essence to it. Slightly sweet and spicy - What a beautiful pepper(s) to cook with. 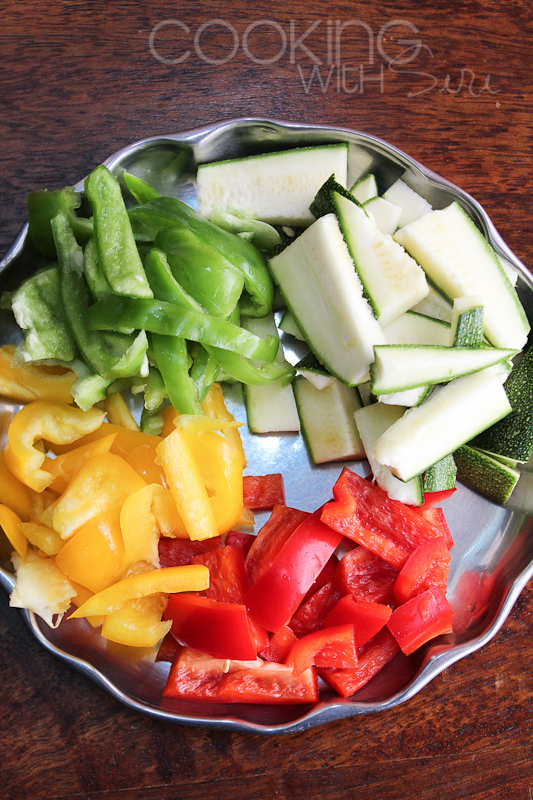 Veggies, chopped roughly to the size of paneer - ready to be sauteed. All mixed in and simmering. 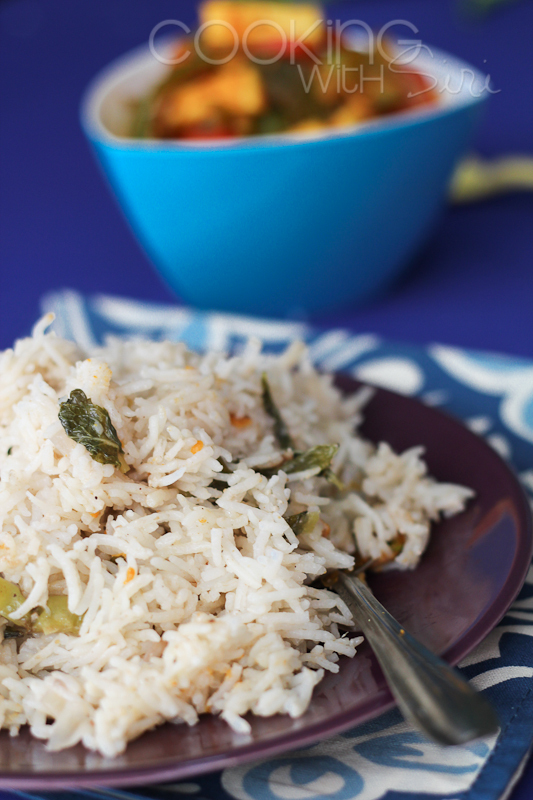 Rice on the side - home-made coconut milk with no preservatives add a nice touch to the usual fried rice. pressure off, ready to be fluffed with a fork! Want to grab a plate? Home-made Coconut Milk Fried Rice - Cut a whole coconut into pieces and grind it until smooth paste. In a muslin cloth, squeeze as much coconut milk you can into a bowl. Give it a rest for few minutes and squeeze for more. 1. 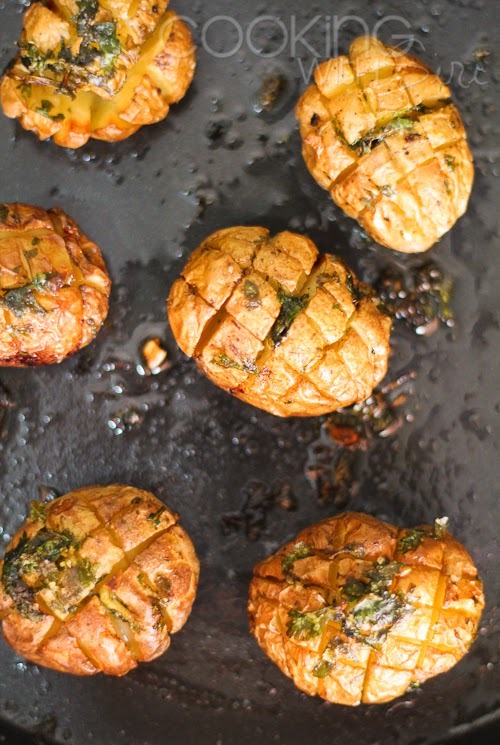 In a pressure cooker, heat oil, add onion, mint leaves, ginger-garlic paste and fry these for 2 mins. 2. Now, add in garam/biryani masala, green chillies and vegetables(if using any). Cook these for 2-3 mins. Season with salt, add rice and cook for a minute. 3. Finally add the coconut milk and pressure cook until 1 whistle. Turn off the heat and once pressure has subsided, fluff with fork. 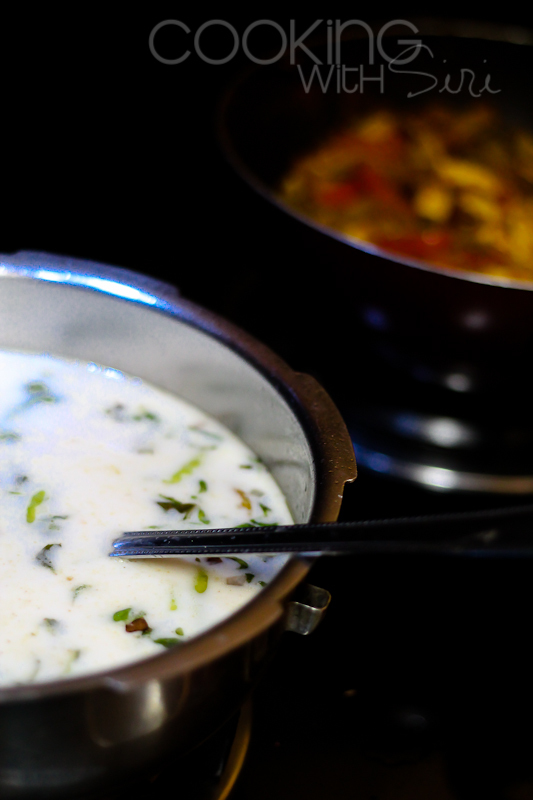 Serve hot with any spicy side dish and raita. 1. Heat oil in a pan and add cumin seeds. Once they start to sizzle, add onions and ginger-garlic paste. Saute on medium-low heat for few minutes. Add mixed veggies. Cook half-way through. Make sure the veggies are still crunchy and not mushy. 2. Add tomatoes, tomato puree, tomato ketchup, salt and turmeric. Mix well. Add 1 cup of water as well. 3. Add chilli powder and coriander powder. 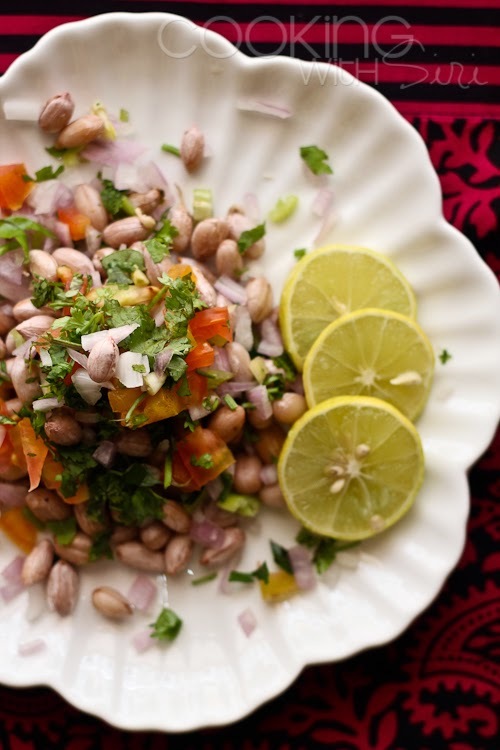 Rub the kasuri methi between your palms and sprinkle the leaves. Cover and cook on low for few minutes, stirring once or twice in the middle. 4. 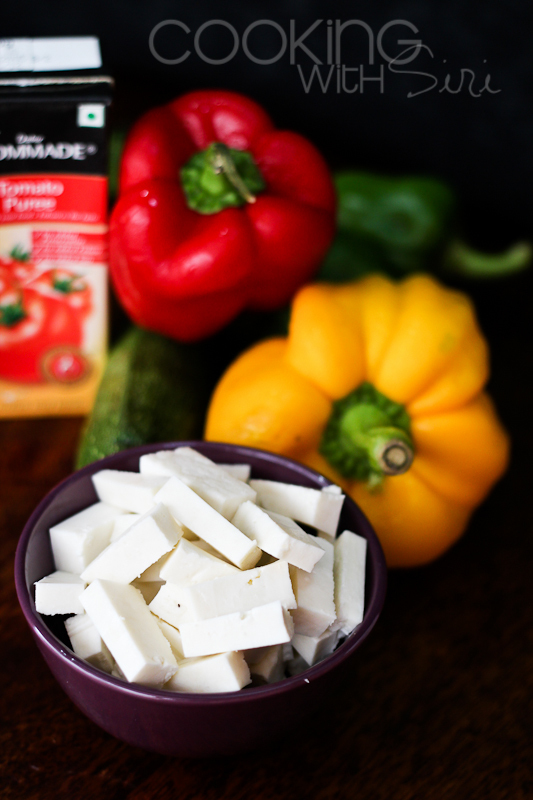 Lightly squeeze water out of paneer pieces and add to the veggies. Gently mix. 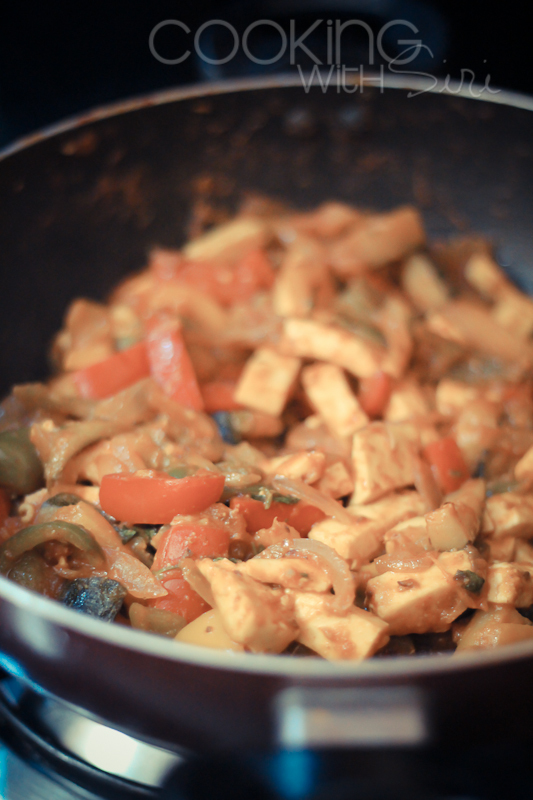 the spices must evenly coat the paneer. Let it simmer on low heat for 8-10 minutes, covered. 5. Turn off the heat. 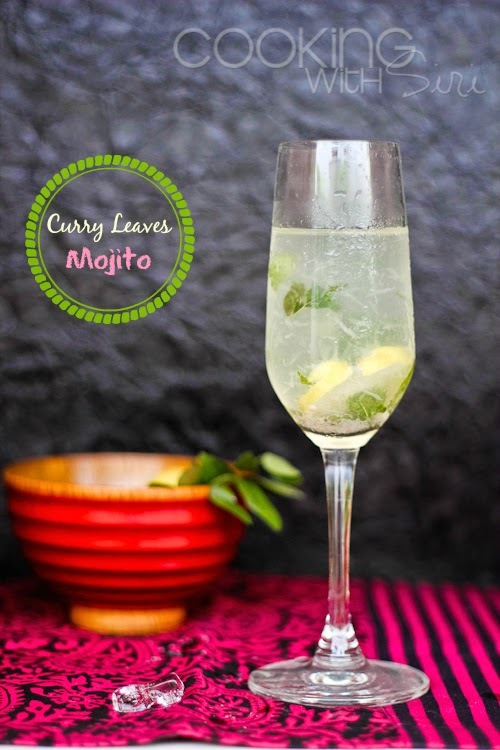 Add lemon juice and top with coriander leaves. Serve with rice or roti. My favorite quick-fix recipes would be grilled cheese (bread stuffed with cheese and assorted veg, and a smear of pickle and chutney). 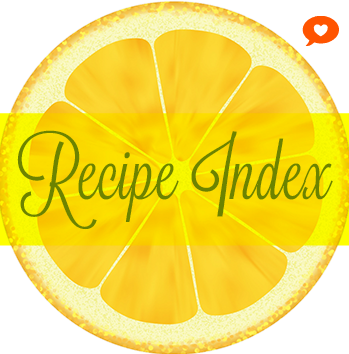 I'm located in the US, crossing my fingers that I win this fun cookbook. Hamaree Rasoi July 20, 2012 12:23 PMSiri , my quick fix recipe which I make quite often for my son is cut whole wheat bread in round shape with glass and grate some carrot, chopped capsicum, onion, mozzarella cheese on top and season it with salt, oregnao and cilantro leaves. Bake is for 10 minutes!! These tarter tots are looking so cute and crispy. Congratulations fellas. I will send you an email for your shipping addresses pretty soon. Say a big thanks your Mom Siri :-) from my side..So happy to see my name..right now I am as excited as a kid ! 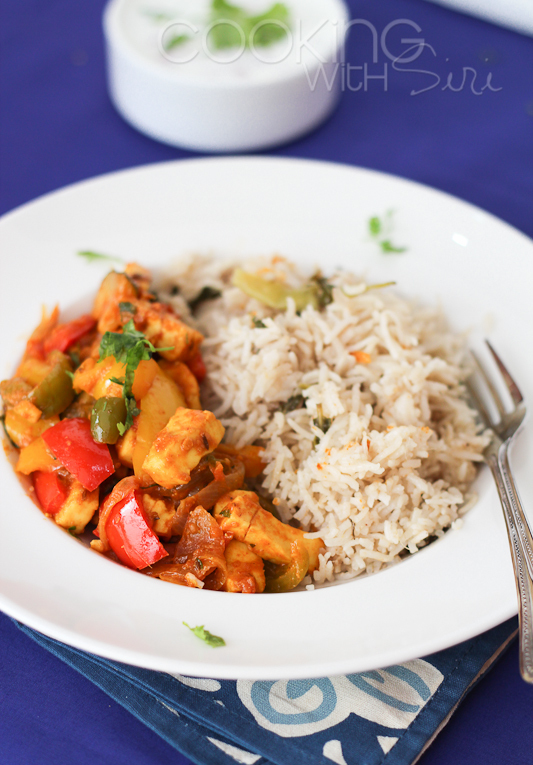 Awesome combination and paneer jalfrezi looks super yum! 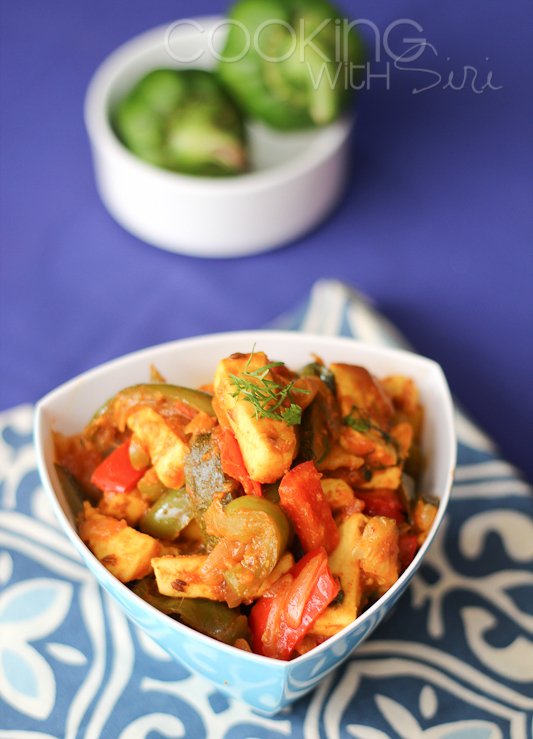 Oh, the paneer jalfrezi looks so good. And the rice too. Coincidentally, I met my friend's mother who has just turned 90, and she was lamenting that she had nothing good to read. She said ' No one writes as well as Agatha Christie'. And here you are writing about one of the books. And Orient Express has been made into a good movie too! And of course, the clicks are so beautiful., such colourful veggies and the dish looks so inviting.., I have not tried coconut milk fried rice.., would love to try it out..
Love Sophie Kinsella's book and I read that too! 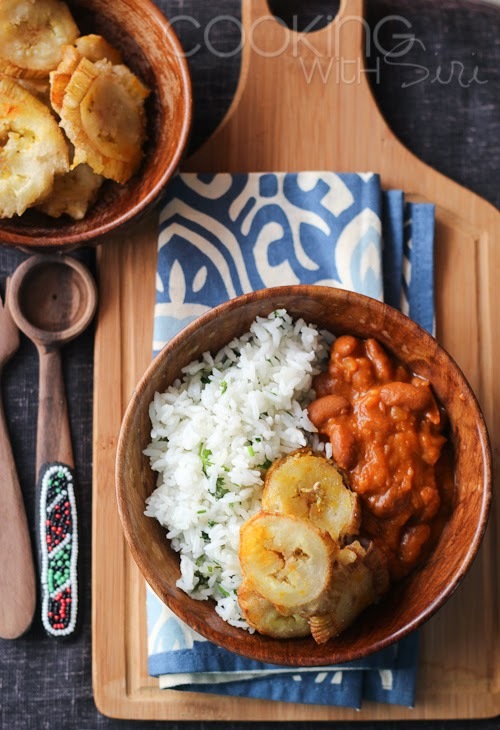 I never tried coconut rice but i really like the idea. Aah! what a great combo! 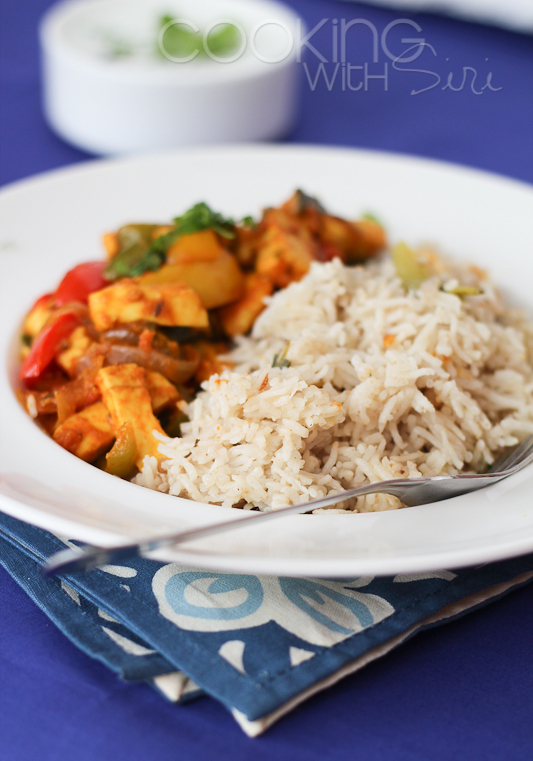 I have ever added zuchhini to a paneer dish, in fact I am not a an of Z. but here in the picture it looks so, so good! Your Mom certainly made a great suggestion, I can but imagine, how creamy and tasty the rice must be! Fried rice with Paneer is what I don't mind having every single day of my life.Love the addition of coconut milk into the rice,got to try that method.The peppers look so fresh and crunchy! I have just visited your blog.LOVED it very much. Since yesterday, I am enjoying your each and every post. 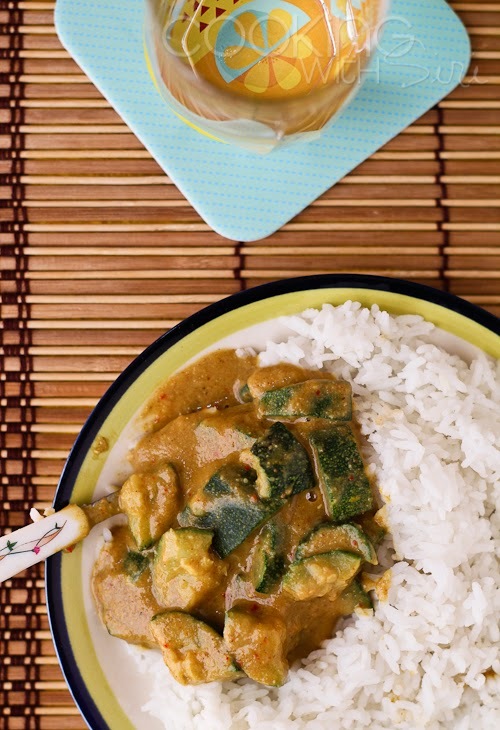 Yet tried mixed veges korma ,My family loved it very much.Thanks for sharing the reciepe.